Europe has some of the most beautiful cities, towns and villages in the world. Full of historic buildings, castles, cathedrals, towers, bridges and cobblestone streets, there is no continent which has such beautiful and photogenic cities. But which cities in Europe are the most beautiful? Obviously I have not visited every city in Europe so I decided to ask my fellow travel bloggers to help me pick the most beautiful European cities. 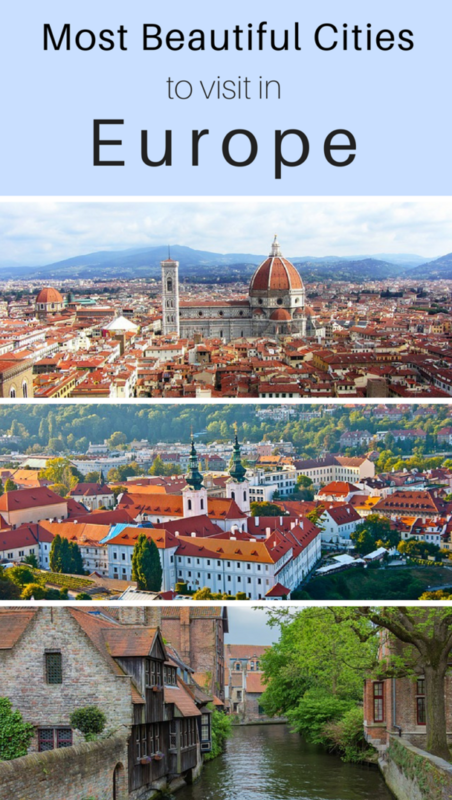 If you are looking for travel inspiration for your next trip to Europe, read on for some of the most beautiful cities in Europe that you need to visit. Prague is so outstandingly beautiful that is even hard to describe it. 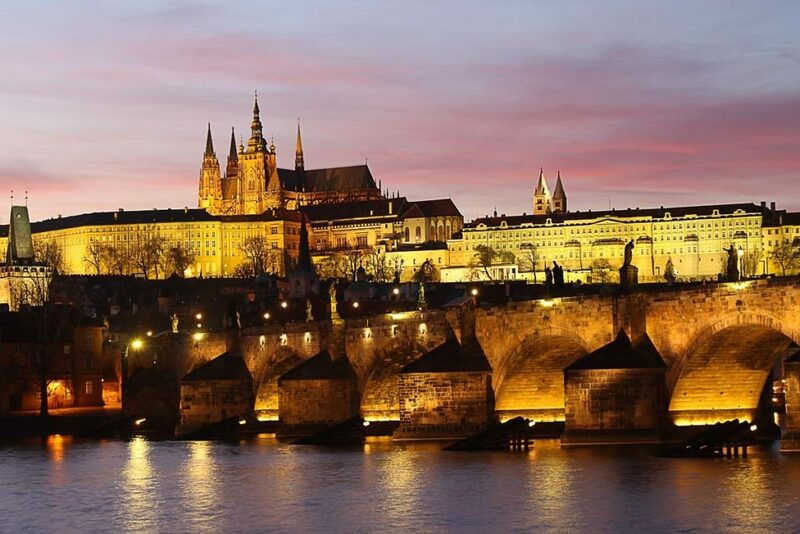 Known as the City of a Hundred Spires, Prague has one of the biggest castles in Europe, Gothic, Renaissance, Baroque buildings side by side with modern architecture, all this in a city that you can explore on foot or on board charming red trams. But it’s not only the old buildings that make Prague such a pretty city, the river Vltava and the bridges are marvelous too. The Charles Bridge and the swans by the river shores look like a fairytale. The incredible Astronomical Clock, the Old Town Hall, the National Theater, the Jewish Cemetery, churches and monasteries, museums, parks and towers are just some of Prague’s top attractions worth visiting. There are so many things to do in Prague that we have visited it twice and we are already planning our third trip. Prague is a city that always surprises us, not to mention the delicious food, the local beer and friendly locals. Venice is not only one of the most beautiful places in Europe but also one of the most magical places to visit. With brilliant sunsets along the Grand Canal, amazing architecture, and alleyways to get wonderfully lost in, Venice gives us so much more than we could ever in return. 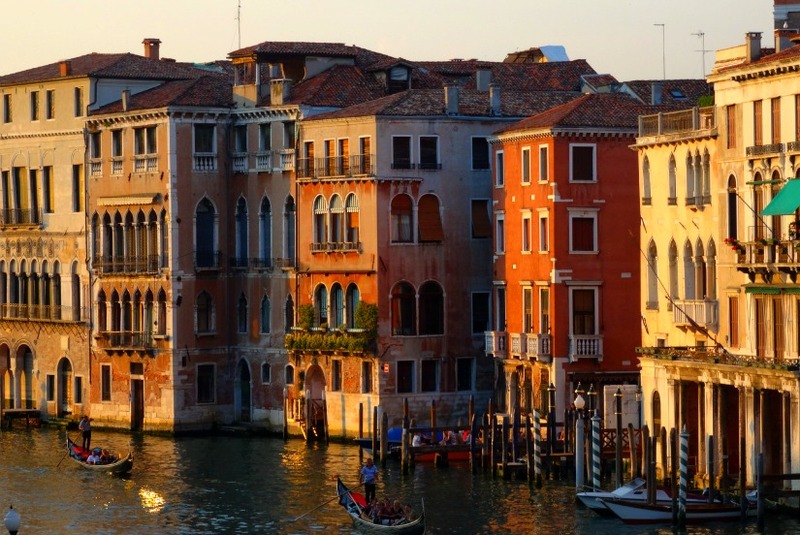 Venice has so much to offer visitors, from enchanting gondola rides to wandering its charming alleyways in search of stunning old churches, and taking in the main attractions like Rialto Bridge, San Marco Square, and the Bridge of Sighs. But don’t forget to dig deeper, go on the hunt for Libreria Acqua Alta, a delightful second-hand bookshop and take in an authentic Venetian opera. Walking around Bruges is like walking around inside a fairytale–and even better, a fairytale that smells like waffles and chocolate. The architecture of Bruges is ridiculously gorgeous, with elaborate building facades lining cobblestone streets and picturesque canals. 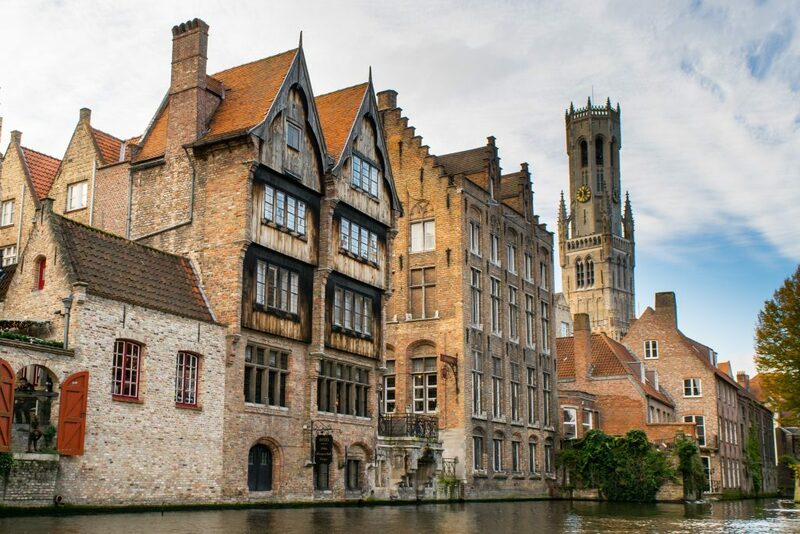 No trip to Bruges could be considered complete without a walk through its old town, a boat ride through the canals, and, of course, eating lots and lots of Belgian waffles (the chocolate covered ones are my personal favorite), Belgian frites, and Belgian chocolate. Bruges is an easy day trip from Brussels, set about an hour away by train, but it’s worth a much longer stay than that. I’d recommend staying in town for at least a few days: it is too beautiful to be able to justify anything less. didn’t agree with me after he left Lucerne. 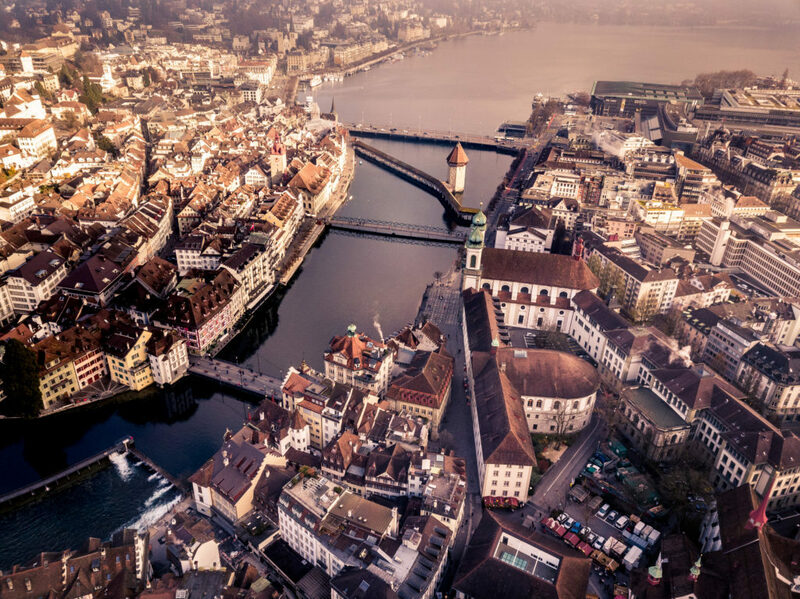 Not only do we have a charming old town but also is Lucerne located in the middle of the Swiss Alps and directly next to Lake Lucerne. This combination makes Lucerne one of the most scenic cities in Europe with almost endless possibilities to explore. In under an hour you can reach several breathtaking mountains just as the Mount Rigi, that is even called Queen of the Mountains in Switzerland. Undoubtedly, Mount Pilatus, which you can reach by boat and a cog railway and rewards you with an unforgettable view, is a place that everybody should’ve seen in his life. Florence is a beautiful city in Tuscany and is found on most itineraries for first time visitors to Italy. The city if full of beautiful landmarks and works of art. Full of churches, museums, and other historic buildings, the entire Historic Centre of Florence has been designated an UNESCO World Heritage Site. Planning a trip to Florence? 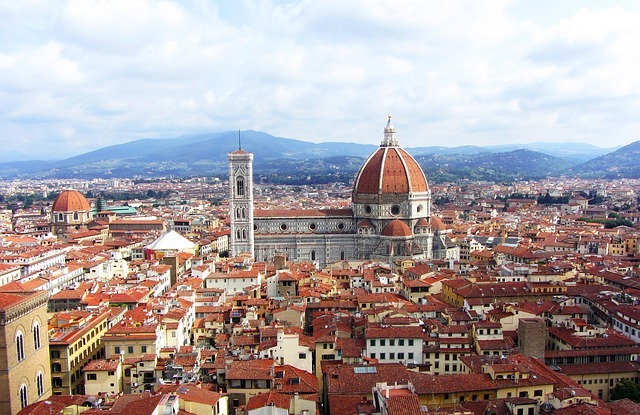 Here are the top things to do in Florence. 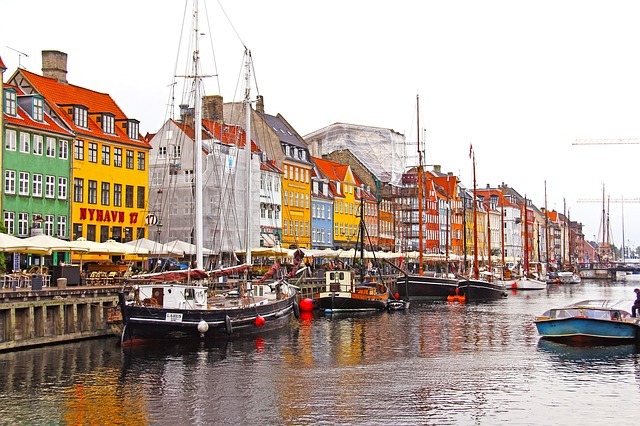 Copenhagen is probably just another city in Europe to some, Denmark is probably just another country in Europe for some, but there is something you will be missing if you won’t included Copenhagen, Denmark in your Europe list. From the colour street of “Nyhavn” or translated to New Harbour to the boat tour around the city, Copenhagen is definitely a beautiful and magical place. You can go stroll around the city and you can easily taste the lovely Danish pastry in the air. The friendly locals love to go by their daily life using bicycles which makes it a very walkable city, Copenhagen is undeniably a place from a fairytale book. Speaking of fairytale, Copenhagen is the home of the famous sculpture little mermaid which is inspired by the well-known children story of The Little Mermaid by the Danish writer Hans Christian Andersen. Many tourists are coming to Europe just to see this sculpture and have a photo of it. Whilst there is a little part of Copenhagen called Christiania or also know as the free city, where young and middle-aged locals hang out together and live freely like it’s another world. Smoking marijuana is not legal in Denmark but in Christiania, a lot of people do it and no one bothers them as there is almost no crime happening in this part of the city. It is also popular for being a very LGTBQA friendly place, which now turned into one of the top attractions in Europe for travellers from everywhere in the world. On a continent brimming with beautiful cities, Amsterdam stands out. Although the world -renowned canals were originally built to protect the city, alongside Dutch architecture, they resulted in a splendor and charm that can be found nowhere else. Walking the streets and canals is a pleasure in itself. Amsterdam is a tourism mecca. There is the unique, liberal lifestyle and friendly locals. 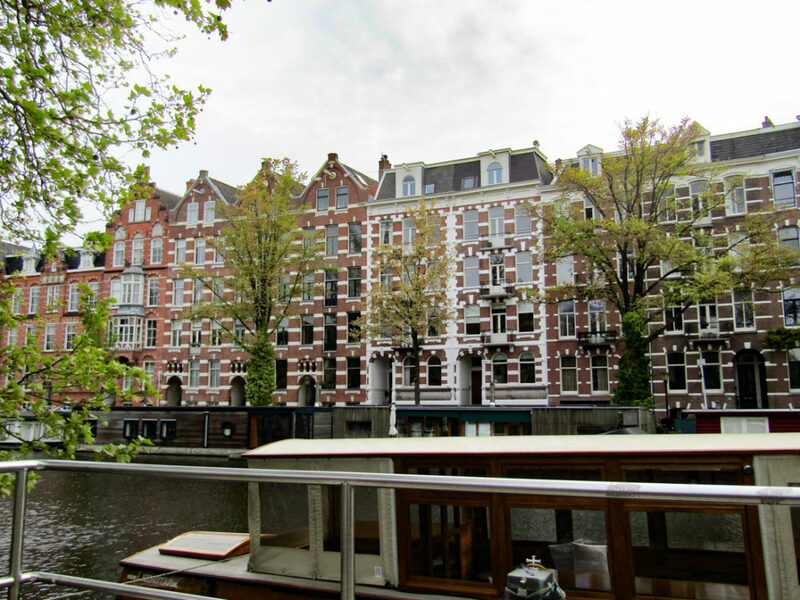 There are major attractions: the Rijks, Van Gogh Museum, Heineken brewery, and Anne Frank House. And, while these may be must-dos, some of the best experiences can be had out into the neighborhoods. Local shops, brown cafes, florist shops and bakeries line neighborhood streets and canals, typically in houses that are centuries old. The city is also a museum lovers dream, with literally dozens spread across the city, highlighting almost every topic imaginable, from pipes, to cheese, to ultra-violet art. Amsterdam is truly one of the most interesting and beautiful cities in Europe. 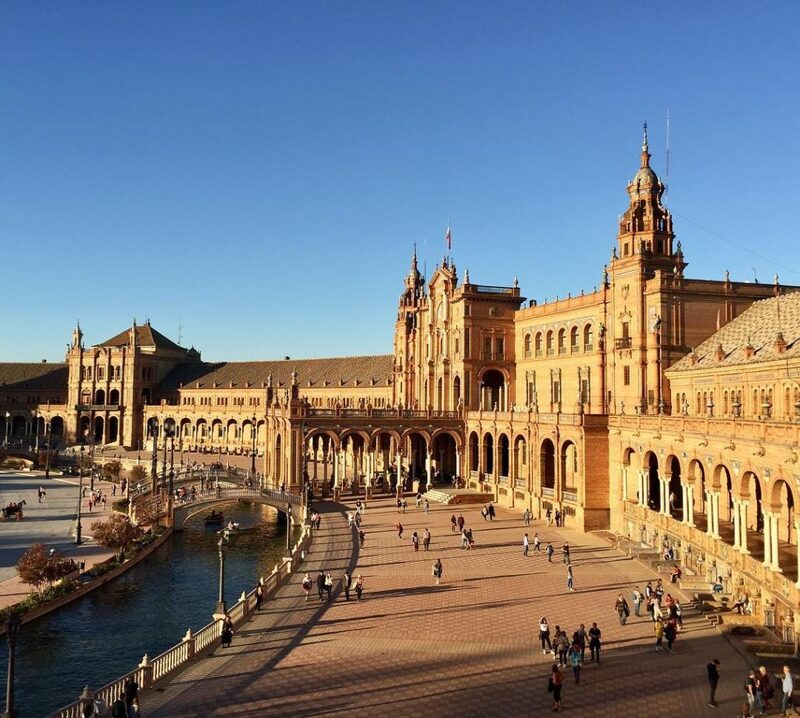 The sun is shining over 300 days a year in Seville, the capital of Andalusia in southern Spain. But the city has got so much more to offer than just sunny weather. Regardless of what you are looking for in a holiday, you will find it here. From incredible sights like the Real Alcázar to the impressive Plaza Espana that was constructed for the Ibero-American Exposition of 1929. But not only history and architecture enthusiasts will fall in love with Seville. While you stroll through the small alleys of the city center, stop by any of the numerous restaurants for some filling and affordable tapas. Once the day comes to an end it is time to hit the bars and watch the locals dance flamenco – why not give it a try and join them? For those of us that watch the Game of Thrones TV series, we’ve been captivated by the shooting locations of this epic fantasy saga. 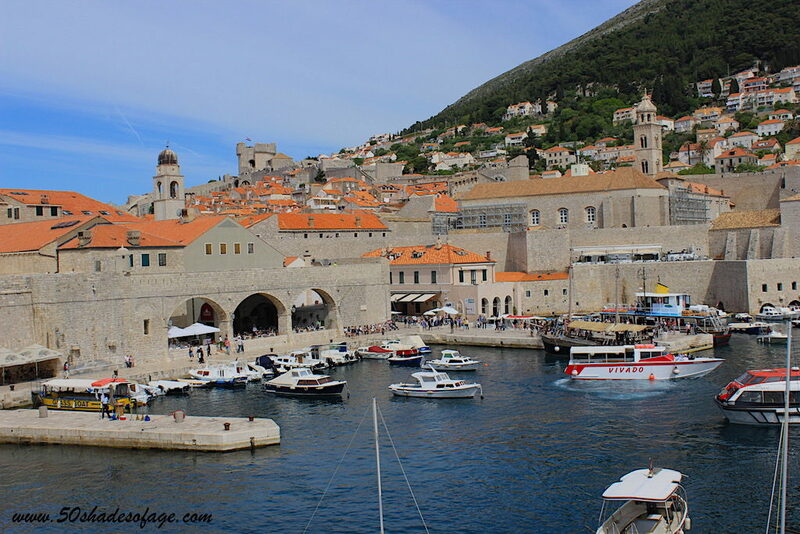 Hence my excitement when I visited Dubrovnik in Croatia, the film set for ‘King’s Landing’. Dubrovnik is located in Croatia on the Dalmatian Coast of the Adriatic Sea, and as far as scenery goes, this would have to be one of the most spectacular cities in Eastern Europe. Although severely damaged by an earthquake in 1667 and massive shelling by the Yugoslav People’s Army after the break-up of Yugoslavia in 1991, the city survived and is now restored to its former glory. A must do is to walk through the Old Town that dates back to the 7th century. The surrounding walls were built in the 12th century as a defence mechanism against a myriad of enemies who attempted to conquer Dubrovnik. There are many fine examples of Gothic and Romanesque architecture in the buildings that are within the Old Town walls. But just as important is to climb the stairs up to the top of the walls that affords majestic views over the Old Town and out to the Adriatic Sea. If you’re looking for the most beautiful places in Europe, Split in Croatia needs to feature in your bucket list. Split is a town on the Dalmatian Coast, known for its medieval town centre, beaches and stunning nature that surrounds it. Split has its own international airport, so it’s pretty easy to get to from most European destinations. There are plenty of attractions both within the city and the areas surrounding it. Just walking around the medieval streets, with their white stone walls and cute courtyards is a fascinating experience. Right in the middle of the medieval town is Diocletian’s Palace, built by a Roman emperor in the 4th Century, one of the most famous and recognisable parts of Split. In the evenings a local bar places cushions all around the square, so you can enjoy a drink and live music in the heart of Split’s historical centre. During the day it’s always full of people, so make sure to visit early in the morning if you want to see it without the crowds! My personal favourite spot in Split is the Marjan Park viewpoint. 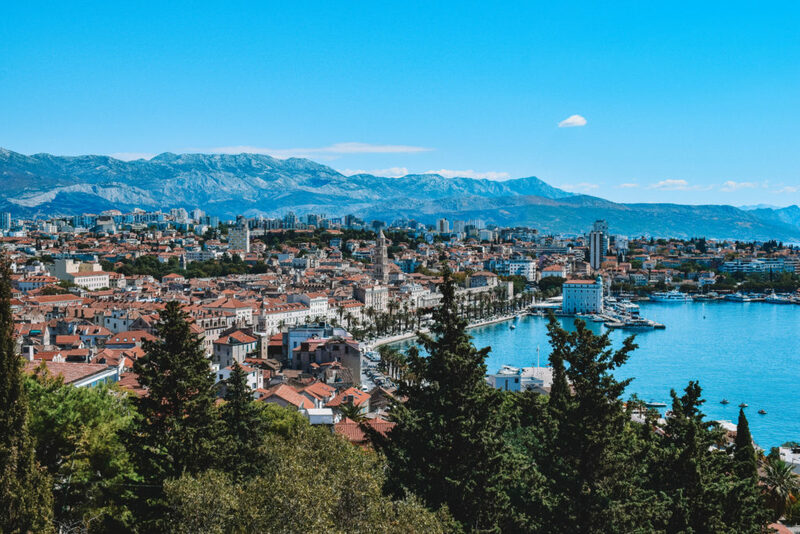 You can easily walk there from the town centre, and enjoy the stunning view over the rooftops of Split and the mountains in the distance. From Split you can also go on a day trip to Krka National Park, home to the famous Krka waterfalls. This is another spot that can get extremely busy, so if you’re looking to swim in the waterfalls, make sure to head there early! The combination of nature, history and beaches makes in my opinion Split one of the most beautiful destinations in Europe. Whatever type of traveller you are, there will be something in Split to cater for you. Tallinn is the capital city of Estonia located on the Baltic coast. It boasts a beautifully preserved, walled medieval city centre that seems to be straight out of a fairy tale. The stunning Old Town square is home to the annual Christmas market, as well as featuring a number of shops and cafes. 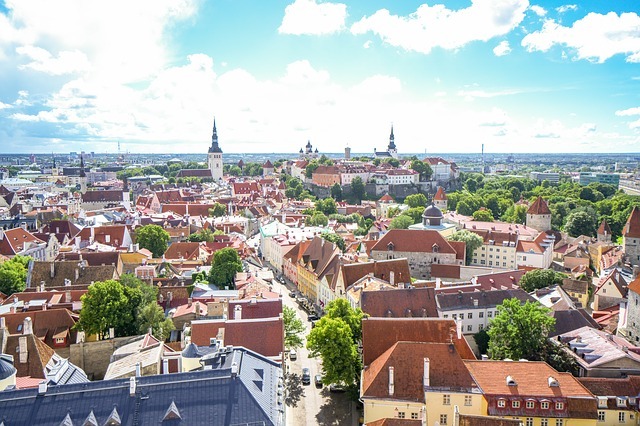 The cobbled paths around the old city walls pass by ancient defence towers and take you up to Toompea Hill with spectacular viewpoints over the old city. From late June, you can experience the “white nights” when it hardly gets dark, and locals and tourists indulge in 24 hour parties and activities.The city is small enough that a Tallinn city break can be squeezed into a single weekend. Tallinn also manages to remain such a purse-friendly destination that Lonely Planet voted it the best value destination in Europe for 2018. 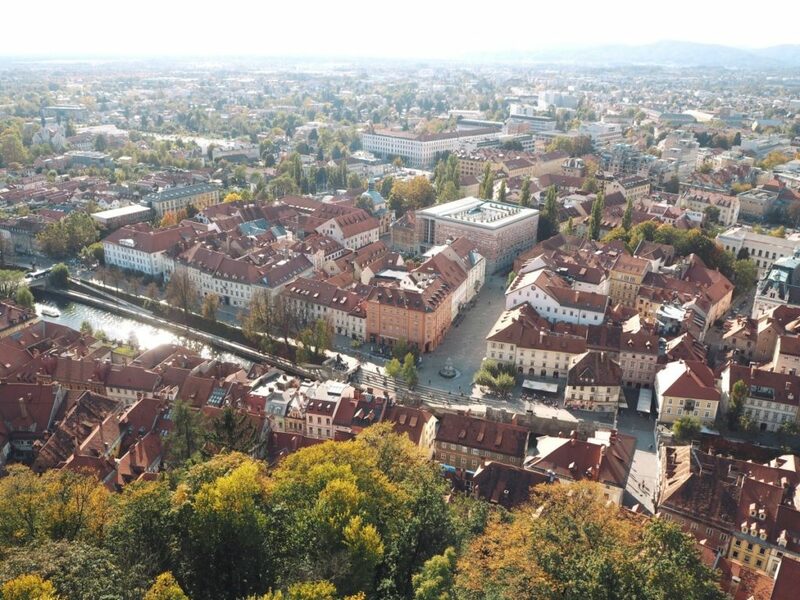 Ljubljana, the capital of Slovenia is a stunning city on so many levels. Impressively, it’s one of the first non-Scandinavian countries to be crowned a ‘European Green Capital’ thanks to its work converting wasteland to green spaces and its eco-friendly ethos. This means it’s incredibly clean and everywhere you turn, there’s a touch of greenery. Set set along a river with mountains and trees rising up in the background, Ljubljana doesn’t feel like a capital city at all, more like a town from a fairytale. 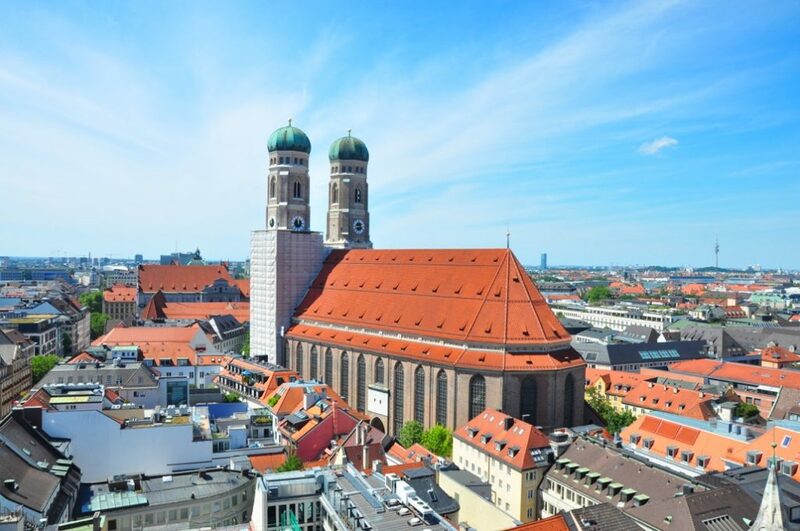 It has cobbled streets, Baroque architecture, a pink church (perfect for that Instagram shot! ), cute riverside bars and cafés, and tree-lined avenues. Ljubljana castle overlooks the city from its hill-top vantage point, because what fairytale city would be complete without a castle? Viewed from the castle’s tower, the city spread below you is almost too picture-perfect to be real. 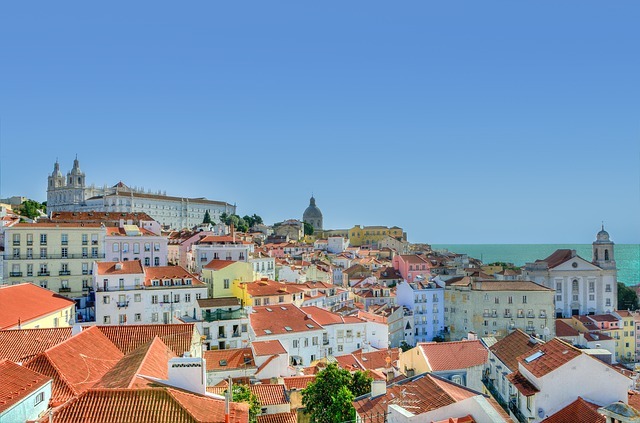 With over 300 days of sunshine per year, there’s a reason why Lisbon is so popular among travelers lately. Top that with breathtaking views from any of the viewpoints up on one of its seven hills, mouth-watering cuisine mixing Mediterranean, Indian, African, and Brazilian influences, impressive architecture, and you’re in the presence of one of the most diverse European capitals. Often portrayed like a lady in literature and Fado songs, Lisbon lures you in through the windy and narrow streets of Alfama, the city’s oldest quarter, to a split-second later surprise you with hidden pieces of street art. Saint Petersburg is one of the most beautiful and the most romantic cities in Russia. It boasts beautiful palaces, impressive cathedrals and splendid royal residences. The best time to visit Saint Petersburg is during summer between June and August when weather is nice and warm and days are long. 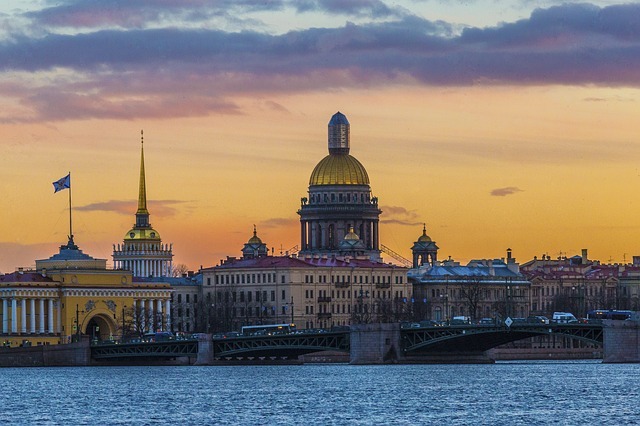 The peak of touristy season is mid June when thousands of people come to St.Petersburg to experience beautiful White Nights, when night shortens to 2 hours a day but even then it doesn’t get completely dark. This time of the year every day is like a holiday, thousands of people walking in the city center at night, restaurants and coffee shops stay opened 24 hours, river boats run all night non stop offering a unique experience of exploring the city at night. The main show happens every night at the Neva river embankment between 1am and 3am when bridges across the river get opened for cargo ships to go through the city. The opening accompanied by music and lights and hundreds of people watching it from the embankment turns this ordinary event into a special occasion. You’ll travel through time by simply walking the streets of Moscow and observing the architecture around you. From churches that have no architectural analogies like Saint Basil’s Cathedral built in 16th century; to Soviet era buildings like Seven Sisters, seven skyscrapers designed in stalinist style; to futuristic buildings in the International Business Center, Moscow will startle you with its beauty and grandeur at every step. Something as simple as taking a train ride can turn into a mind-blowing experience. Created to be “palaces for the people”, the stations of Moscow metro are truly amazing and can be regarded a destination on their own. Same goes for grocery stores like Eliseevsky Store in Moscow that looks more like a palace than your regular supermarket. Cemeteries are no exception either. Novodevichy Cemetery, quiet and stunningly beautiful, is one of the most popular attractions in the capital of Russia. 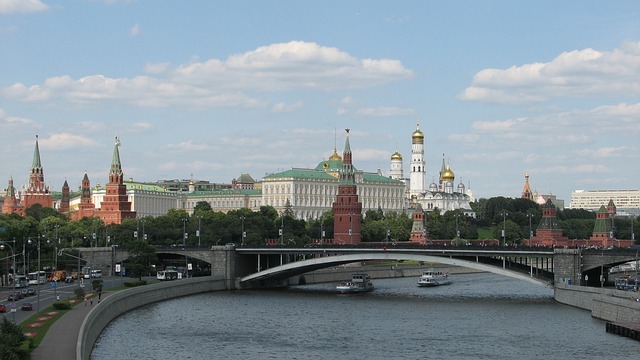 Whether you choose to wander around the city, visit its many palaces and museums, or spend time in one of the green parks, Moscow will inevitably find a way to charm you. With almost 15 million official inhabitants, Istanbul is the largest city in Europe and offers an incredible amount of exciting things to discover. Istanbul offers a fascinating variety. Culture lovers will love the magnificent historic buildings. Shopping fans will find everything their heart desires in huge shopping malls. Foodies can indulge in the culinary diversity of Baklava, Börek or a Turkish breakfast. Families will enjoy the Turkish friendliness and can buy colorful cotton candy at lively playgrounds even at midnight. Bathing fans bask in the sun in the trendy beach clubs in Kilyos. Nowhere else have I ever discovered the contrast between tradition and modernity in this way. 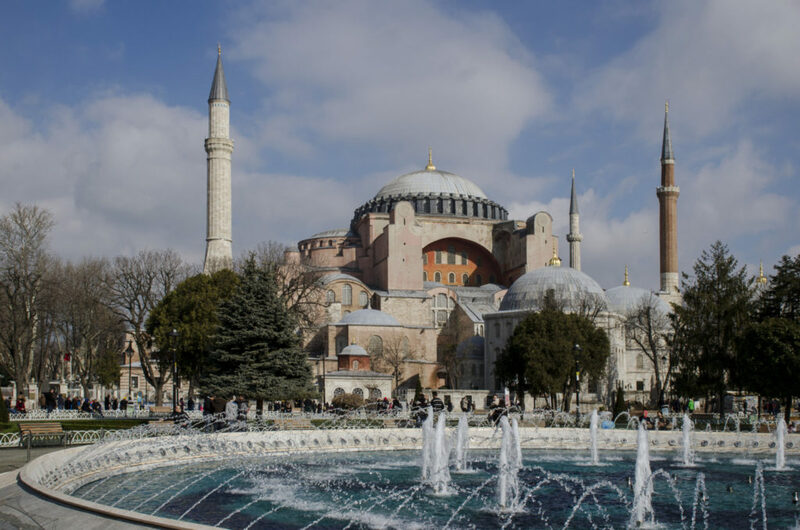 The sightseeing hotspots in Istanbul are all central and so close to each other that they are in easy walking distance. The city can be loud, colorful and crowded. But in addition to the traffic chaos and high-rise settlements you will also find a lot of green and quiet spots. Climb the old city walls, looks at the Bosphorus and over to Asia while a majestic silence will set around you. And last but not least, Istanbul is the only city in the world that spans two continents. The Bosphorus separates the European from the Asian part, the dazzling Bosphorus Bridge connects the worlds. Where else can you get from Europe to Asia by boat, car or on foot? Edinburgh is definitely one of the UK’s most beautiful cities. From the castle perched high on the volcanic outcrop in the centre of the city, to the medieval streets and alley, to the 18th century Georgian style “New Town”, it’s no wonder that the majority of the city centre is a designated world heritage sight. There is plenty to see and do here. 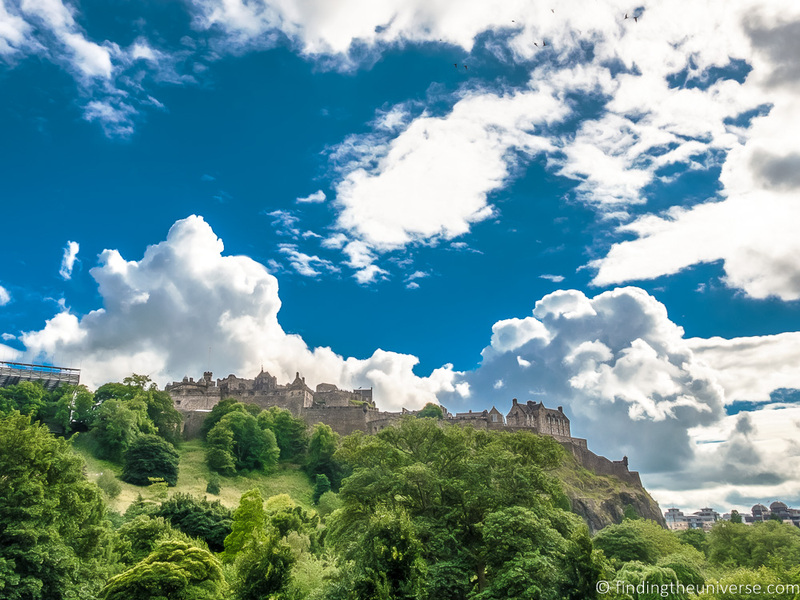 A visit to the castle is a must, as is a wander down the so-called “Royal Mile”, the main high street in the old town which runs from Edinburgh Castle to Holyrood Palace – the Queen’s official residence in Scotland. There are also numerous museums, restaurants, bars and other sights to see. For inspiration, check out this guide to spending two days in Edinburgh. Getting to Edinburgh is easy – the airport is a 20 minute drive from the city centre, with links all over the world. There’s also a train station which provides direct service to London in 4.5 hours. The capital of modern Italy and of a mighty ancient empire, with some 3,000 years under its belt, Rome is a never-ending surprise. Whether you are a history buff, an art lover, or a foodie, the Eternal City will have something for you. First-time travelers can’t possibly miss exploring and delving into Ancient Rome by visiting places such as the Colosseum, the Roman Forum and the Baths of Caracalla. 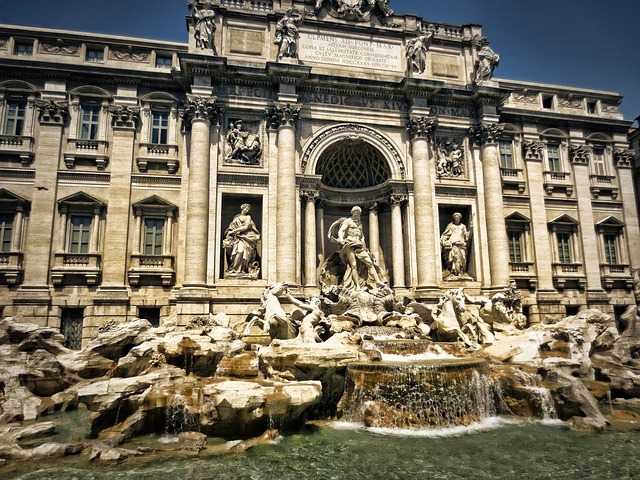 After experiencing the old empire, move on to the Renaissance buildings to see where old noble families lived and ruled, while if you are into sacred architecture and history, you will get lost in the myriad of churches and Basilicas Rome boasts. One of the most popular destinations in the city is the Vatican, where tourists love to visit St. Peter’s Basilica, its Dome and Crypt, the Vatican Museums for the Sistine Chapel, and the Vatican Gardens. Rome is not only ancient art, though. Wander around the neighborhoods famous for their street art such as Quadraro, Ostiense or Tor Marancia to see the murals of Italian and international artists. My favourite European capital is definitely Madrid, Spain! Even though some might think it can’t compete with Barcelona, its hidden beauty is just what makes Madrid so attractive. 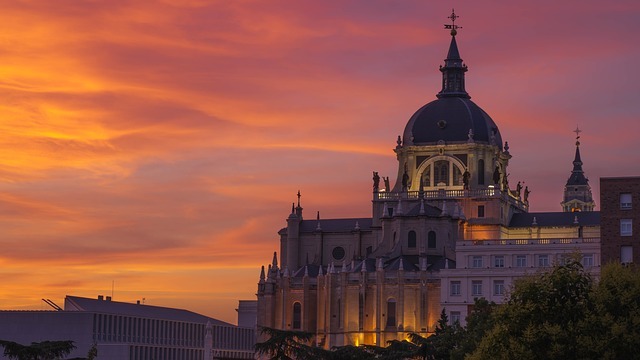 Apart the obvious sites such as Plaza Mayor, the impressive Almudena cathedral, the Royal Palace, the lush green Retiro Park, Las Ventas bullring, or the Gran Via avenue, it’s mostly the lively vibe and the excellent food that makes Madrid one of the best places to visit. La Latina, Malasaña and Salesas are heaven for foodies. My favourite thing to do is going from bar to bar, try the different tapas with a the typical drink form Madrid, vermouth wine. This city never sleeps and the feeling of wandering below the sparkling lights of Gran Via at nighttime, will make you fall in love with the Spanish capital. While many cities offer a plethora of attractions to visitors, not many can claim to be romantic too! Budapest offers a bundle of great options to visitors: it’s budget-friendly, there are loads of activities to suit every type of traveler, the food is delicious, and it’s breathtakingly beautiful! 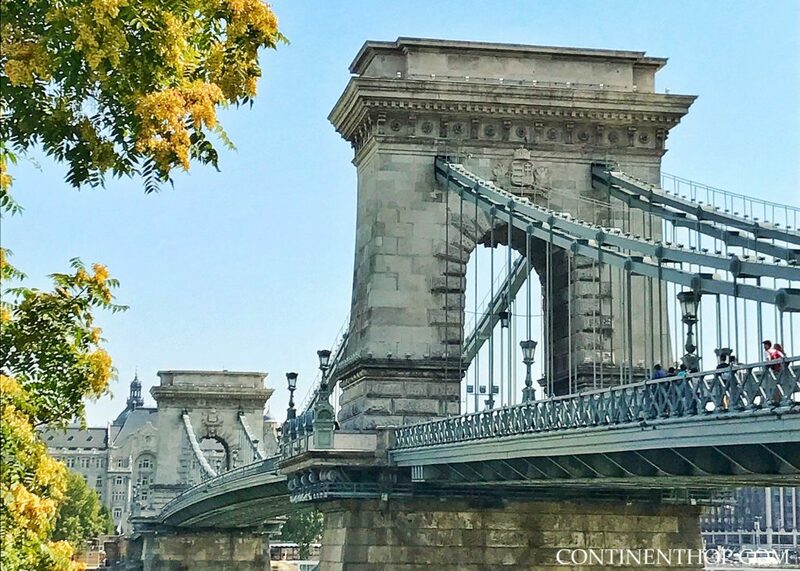 The Danube flows leisurely dividing Buda and Pest while sunsets here envelope the Parlament, the Buda Castle, the Chain bridge or almost any other attraction in gorgeous colors. In addition to the above, you could also visit the shoes on the Danube, the Opera house, Vajdahunyad Castle, St. Stephen’s Basilica, St. Matthias Church, Fisherman’s Bastion which is quite popular with locals and tourists alike. If you prefer museums, there’s plenty of them too, and streets like Andrassy avenue ensure you get your fill of shopping too! Once tired you can relax at the numerous thermal spa’s available in the city! Vienna has been named the Most Livable City for the 9th time in a row, and it’s not just for show. 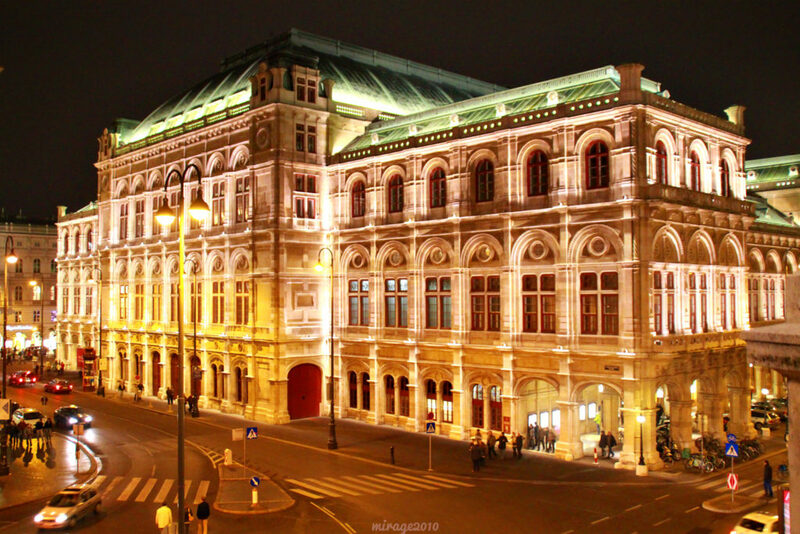 Despite being small compared to other European cities, Vienna is full of culture, the arts, and filled with music to the brim. It is not called the city of Music for nothing. The Wiener Staatsoper (in photo) offers presents classical music ensembles, ballet performances, and also children’s productions where performers are honed from a young age. Museums in Vienna varies and interests age groups and preferences, on the first Sunday of every month, there are a lot of museums that offer free entrances. Parks and recreation centers are abound in the city, because the government loves its children that they put their well-being first, thus the saying, no child is bored in Vienna. Because Vienna is relatively small, one can walk around the city center to see the most significant buildings and historical places and palaces while enjoying coffee and cake in between. The Belvedere Palace, the Schönbrunn Palace, the Hofburg, the Lichtenstein Palace, the Stadtpark, the Donauturm are some of the “must see” and “must visit” when in Vienna. London is one of the great world cities – if there ever had to be a capital of the world it would get my nomination – but I’d also like to put it forward as one of the most beautiful cities in the world. It’s one of the world’s most diverse cities, a wonderful multicultural melting pot, with people from all walks of life and all corners of the earth, and for me, this is part of what makes it such a vibrant place to visit. London is absolutely packed with must-see sights – more than many countries could muster – and if your time there is limited, you need to do plenty of research to fit everything in. Perennial favourites include Big Ben, the clock tower of the Houses of Parliament, nearby Buckingham Palace, Westminster Abbey and Trafalgar Square. Many come to London with an interest in the Royal Family – you can see ceremonies such as Changing of the Guard for free at Horseguards Parade, in full uniforms and paraphernalia. From Trafalgar Square, you can head north to the West End, one of the best entertainment districts in the world, or east to the City of London, one of the most important financial centres in the world with an amazing skyline with St Paul’s Cathedral dome and the Gherkin and Cheese-Grater skyscrapers prominent. Here you’re also very close to iconic Tower Bridge and the Shard, the tallest building in Europe. And why is all this so beautiful? Stand on Waterloo Bridge to see the Waterloo Sunset the Kinks sang about, ideally in autumn or winter for full effect. Visit the Royal Parks in spring, when they are carpeted with gorgeous flowers. 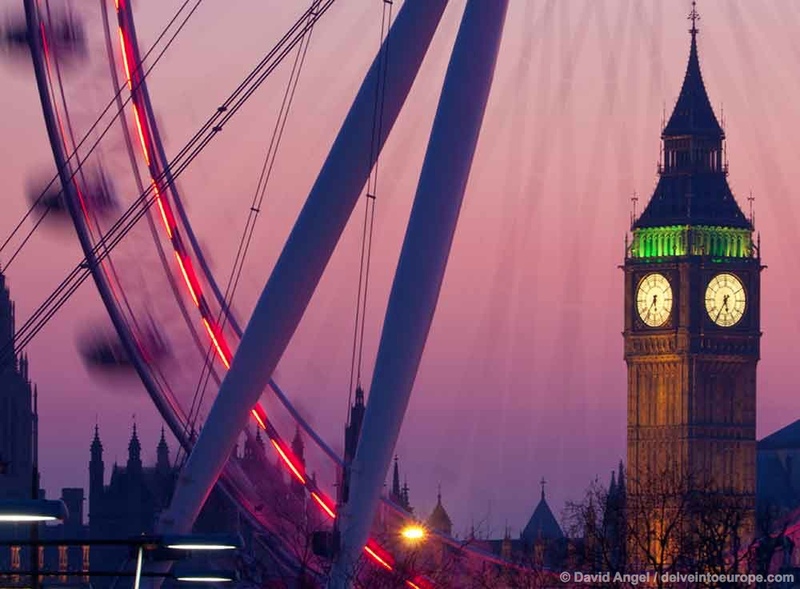 Or see the many lights of the city twinkling at twilight, ideally from a vantage point like the London Eye ferris wheel, and you’ll see why. What a magical place. You can’t put together a list of the most beautiful European cities and not include Paris. Paris is one of the most photogenic and popular cities in Europe and rightly so. 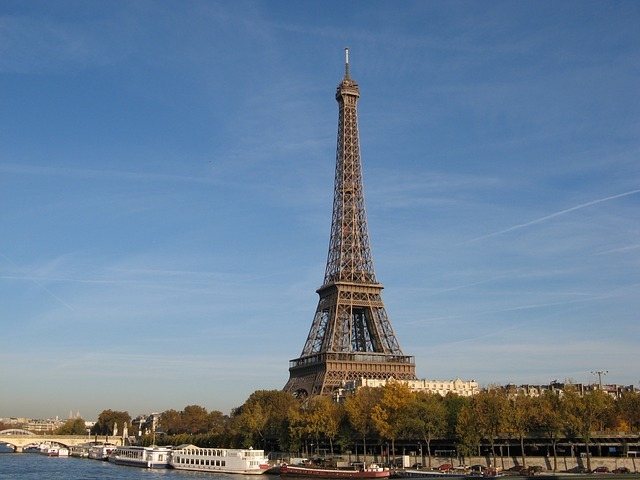 Paris is home to the Eiffel Tower, Notre Dame, Montmartre, Arc de Triomphe and other famous landmarks. Whether walking the streets of Paris, taking a trip down the Seine or having a leisurely meal and people watching at an outdoor café, there is so much to see in the city of light. No wonder they say Paris is always a good idea! If you already have plans to visit, here is a guide to the best area to stay in Paris. Europe has many more beautiful cities but these are some of the best European cities to visit. 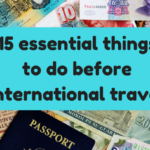 Hope this list inspires you to plan a trip to Europe. Looking for more beautiful cities in Europe to visit? Check out 35 of the Most Beautiful and Underrated Cities in Europe. What a stunning post! It’s pure wanderlust! So happy to be part of it! There are so many beautiful cities in Europe! This post has me dreaming of returning. While I’ve been to many of these, there are still so many more I’d love to visit! OMG how do you choose? There are so many beautiful cities in Europe. 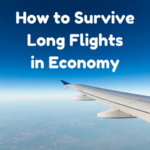 Thanks for allowing me to contribute to this great collaborative post. Wow, this is a great comprehensive list. The photos are quite lovely too. Great post. Nice sharing. Wish I will be there soon..especially for Edinburg.